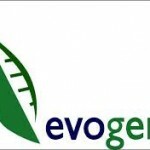 Evogene Ltd. has signed an agreement between its wholly owned subsidiary Evofuel Ltd. and Insolo Agroindustrial S.A. for the selection and optimization of Evofuel’s propri etary castor bean varieties in Insolo farms. The two-year collaboration will examine the sustainability and adaptability of the growing castor varieties in the farms. The two companies will jointly evaluate the economic and agronomic benefits of castor seed varieties in this area, selecting the best varieties and developing the agronomic know-how to integrate the castor seed varieties into Insolo’s production system. This entry was posted in Castor Cultivation, Castor Plant and tagged Castor Crop by Gayathri. Bookmark the permalink.